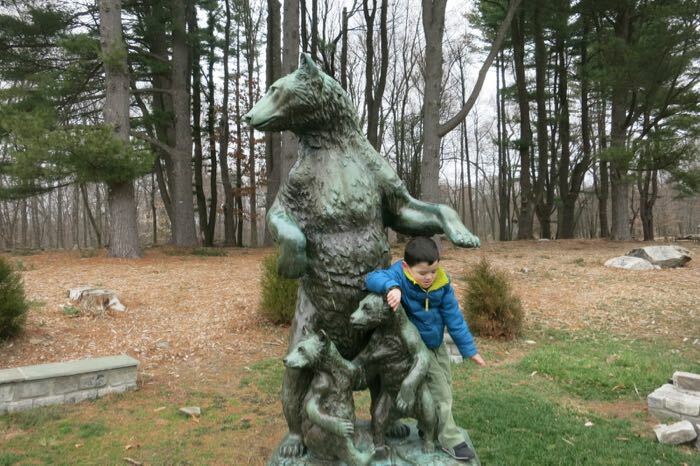 CTMQ > Curiosities > Remembrances > Huntington State Park Bears! For the uninitiated, I have been a big Stephen Colbert fan for many, many years. (I’ll admit, I no longer watch him now that he’s on CBS, but I was a devotee of his Comedy Central show.) He had a lot of recurring jokes, one of which centered around bears. That’s where the idea for my old “Bears!” page came from. Now that I’ve had bears on my West Hartford front porch hanging out, and watching them eat neighbor’s birdseed fairly regularly, they don’t excite me as much as they used to. But they still excite me. So that’s why this page is titled as it is, even though it’s not really about bears at all. 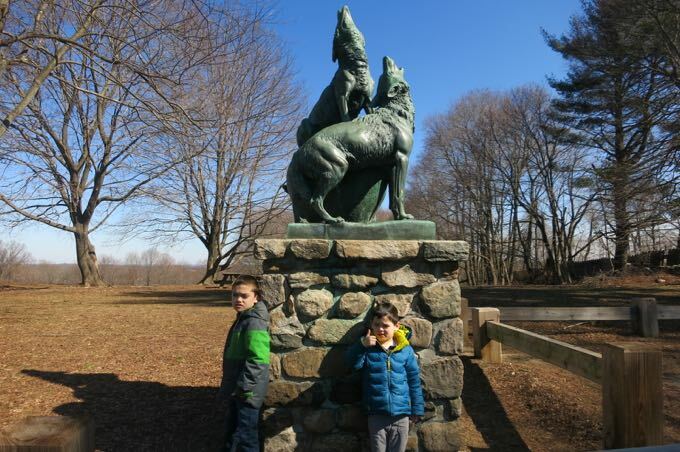 It’s more about Anna Hyatt Huntington (March 10, 1876 – October 4, 1973) and the mark she left on Connecticut. Hyatt Huntington was rather awesome. She was an American sculptor and was once among New York City’s most prominent sculptors. At a time when very few women were successful artists, she had a thriving career. Hyatt Huntington exhibited often, traveled widely, received critical acclaim at home and abroad, and won awards and commissions. 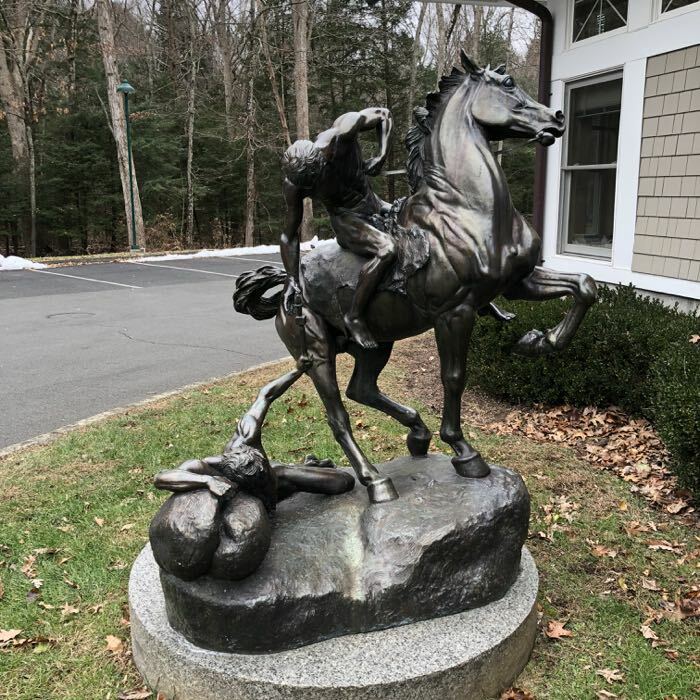 During the first two decades of the 20th century, Hyatt Huntington became famous for her animal sculptures, which combine vivid emotional depth with skillful realism. 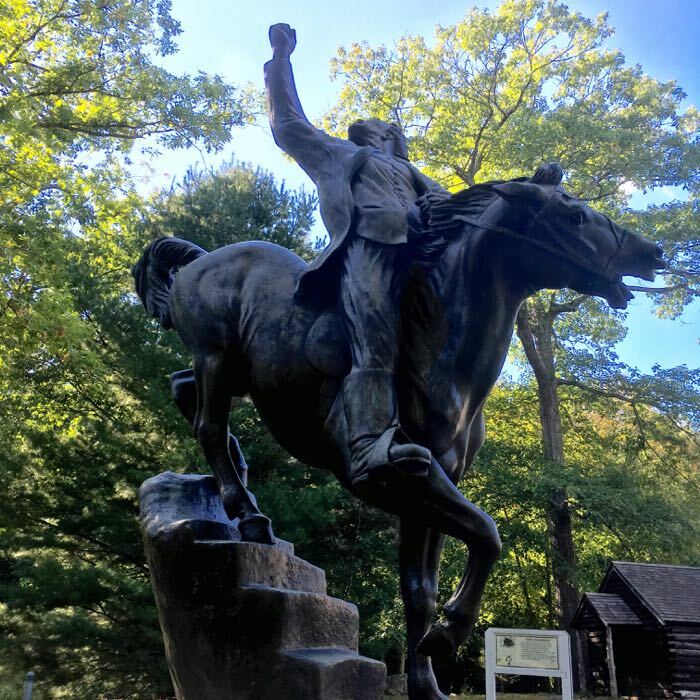 In 1915, she created the first public monument by a woman in New York City, outside of Central Park: Her Joan of Arc, located on Riverside Drive at 93rd Street, is also the city’s first monument dedicated to a historical woman. Because of her husband Archer’s enormous wealth and the shared interests of the couple, the Huntingtons founded fourteen museums and four wildlife preserves (according to Wikipedia). They also donated the land for the Collis P. Huntington State Park in Redding and Bethel. Which is why this page on CTMQ exists I guess. We’ve had fun hiking around the park. It was there that his wife, Anna Hyatt Huntington, the internationally famous sculptress, worked with clay and scaffolding in her studio. 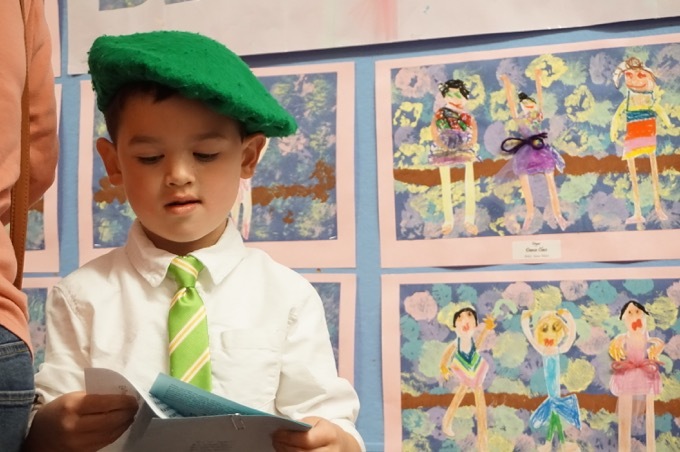 Mr. Huntington centered his activities in Redding as a noted poet, Spanish scholar, art patron, and founder of the Hispanic Society. 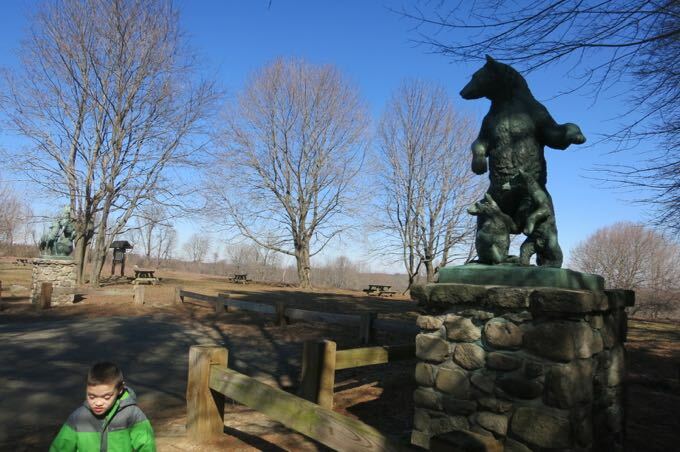 The park is named after Archer’s father, Collis Potter Huntington, the railroad tycoon. Collis Potter Huntington became one of the wealthiest men in the country in the late century by his promotion and completion of the first transcontinental railroad. He also established the largest shipyard and dry dock company in the United States in the late 1800’s at Newport News, Virginia. 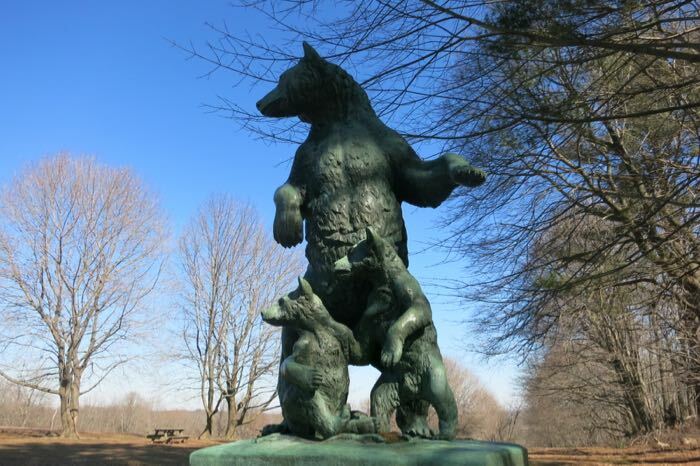 The estate will most be remembered for Anna Hyatt Huntington, whose sculptures of bears and wolves welcome visitors at the park entrance. Mrs. Huntington was a prolific and hard working artist all her life. The work of Israel Putnam above was created when the artist was in her nineties, which is bananas. Certainly an impressive woman to say the least.